It’s just as important during the winter that you maintain routine checkups and inspections of your car and its internal parts. Cold weather has certainly been tied to specific issues that can arise with many cars, and many of these issues can be prevented with proper and meticulous maintenance. Below are a few things you can have performed on your car to prevent premature repairs and damage from occurring on your car. It’s important to note that the fluid in your car isn’t going to last forever, and in some cases, it’s important to change it out in order to make sure it continues to thoroughly protect your vehicles inner components. 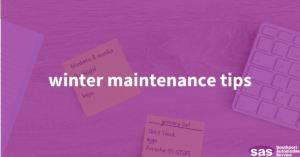 Coolant/Antifreeze, oil, gear fluid and more are essential to think about when you’re talking about routine maintenance. As temperatures in the Connecticut area begin to drop, it’s important to know that your battery is also put under a bit more stress when it comes time to start your car. Batteries have a measurement known as Cold Cranking Amps, which helps them start your car in low temperatures. To make sure you’re not left stranded with a weak battery, make sure your battery has either the recommended or higher-grade amount of CCA’s to ensure a strong start each day. Of course, it’s also important to have the undercarriage inspected, as well as a number of hard to reach places within the car either before or during the winter. Make sure when you do so that you’re bringing it to a place that can efficiently and effectively make any necessary repairs and changes!